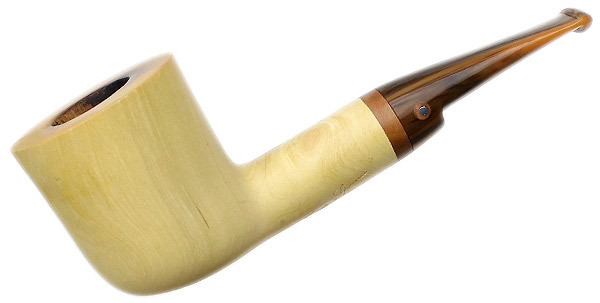 The Imbuia pipe is fairly decent. So what do you think? Is there a space for Imbuias or other non-briars in your collection? Pipes built from randomly selected African hardwoods scare me, frankly. Many of the woods contain sensitizing oils in the first place, and none of them are treated the way briar is treated with the intent of making a long lasting and neutral tasting pipe. So I'm not a fan. Briar is the king because it has a high silica content, resists burning, isn't full of home-grown pesticide the way a bunch of African woods are (you gotta be nasty to grow in Africa!). You can make a pipe out of whatever you like I suppose, but there are risks involved. @sasquatch these pipes (Imbuias) are Brazilian... They can be almost as expensive as some briars here. They call it "National Wood" or something along these lines, but I've done my research and found out that the wood that they use is Imbuia. Sorry, I assumed it was African, all the weird dangerous woods seem to be! Odor: Imbuia has a characteristic spicy scent when being worked. Allergies/Toxicity: Although severe reactions are quite uncommon, Imbuia has been reported to cause nose, throat, and skin irritation. See the articles Wood Allergies and Toxicity and Wood Dust Safety for more information. Anyway, do as you please, smoke what you like. But from a pipe maker's perspective, I'm not interested in experimenting with these things. I've never seen a wood with higher burn resistance than briar, or a wood that was more resistant to the hold/cold wet/dry cycling that a pipe is exposed to. I am curious what this wood looks like. Any pics? Is this the same pipe the housekeeper cleaned? They are different pipes. I use the Imbuia pipe as a backup. Here are the pics. Looks a lot like briar. I'll have to research that wood. I'm "down south" often but never looked for pipes. Good luck with the salt treatment, what a bummer. I've been smoking it just for now and it's tasting quite sweet. Had just a little cake formed in (almost nothing) because I only used it for a month or so before switching to the Sav. It's the pipe with the most sentimental value for me because it was my first pipe, which my mother bought me as a gift. But I'd rather smoke the Savinelli, I like it a lot. Never heard of this wood. Only of Rosewood and Imbuia as alternatives. Have you tried English Bog Oak? Is that not Morta? I have two of those pipes from Moretti. Still alive. Bog Oak = Morta, yeah. With so many good moderately priced and economically priced pipes in briar, I would tend not to go for exotic woods. They might do fine, especially if they are in a big rotation. But a briar pipe often lasts a lifetime or beyond, and in some instances improves with wear. You can save a few bucks, but only in the short term. When I started 4 yrs ago, I picked up several kinds of pipes on auction sale which included a variety of bowl materials including briar, meerschaum, maple, cherry, and corn cob. I read about other materials, like morta, olive and lemon wood, and have yet to acquire one of these, but it's the lemon wood that appeals to me. 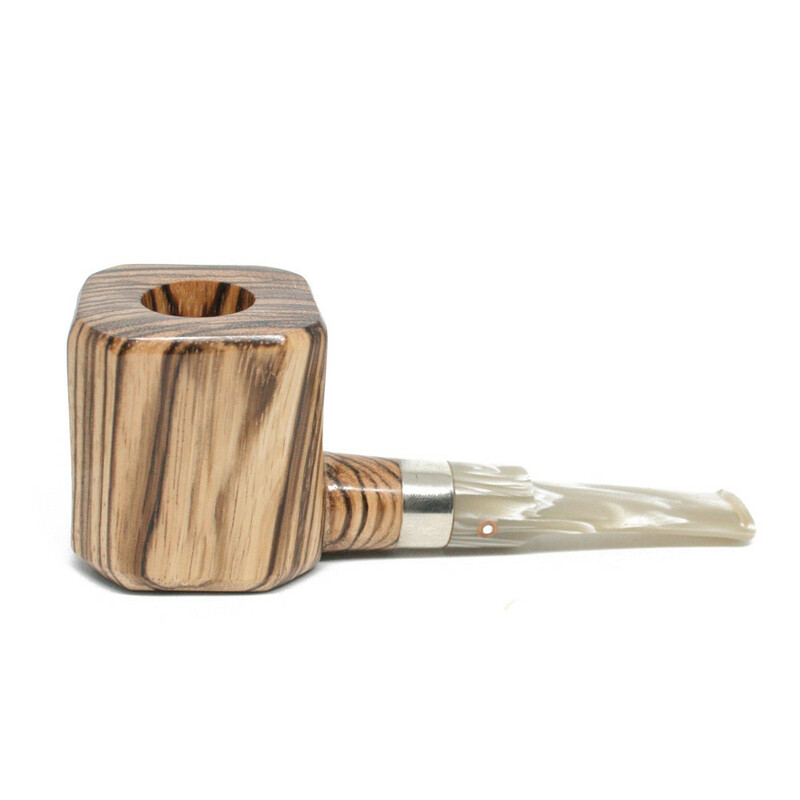 The late Thomas Spanu was a proponent and some of his lemon yellow finished lemonwood pipes are very attractive. If the stem is right for you, the material of the bowl is almost secondary, so long as it is non toxic and durable. This is one reason I read these threads. I start to 'research' a little sometimes and at least for a moment or two, learn something new! Here's another Spanu pipe, made of African sourced wood, called Zebrawood.